What are the secrets to success on Pinterest for bloggers and YouTubers? How do some online business owners get thousands of visitors each month from Pinterest to visit their landing pages and blog articles? 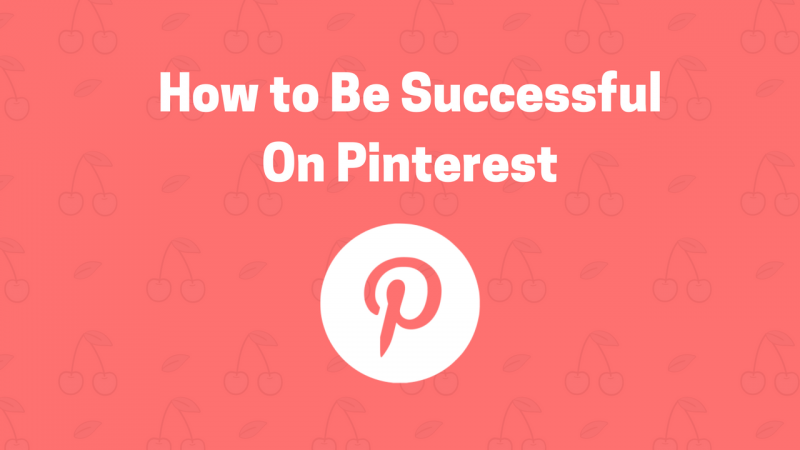 That’s what we will be discussing today as I layout several important tips to help you be successful on Pinterest. If you’re curious why you should listen to me about Pinterest, I invite you to check out my success story here which goes into detail of how Pinterest quickly became my website’s number one traffic source. The first step to success is optimizing your profile. Makes sense right? Give your profile a name related to your brand or your niche. For example, my account is called Golf Practice Guides which happens to be my brand’s name but it also has the keywords “Golf Practice” in it. This is important because people searching Golf Practice or Golf Practice Tips on Pinterest will come across my profile! It’s not guaranteed that using niche specific keywords in your profile name will get you found but it sure can help more than it hurts. You also should use a URL with keywords related to your brand or niche. Lastly, include a professional photo of yourself or your brands logo. If you use a company logo, then I’d also recommend creating a personal account for yourself so you can share your company pins to your own personal account. Next, you should convert your account to a free business account. Because it enables analytics so you can track how your pins are doing. You can see which pins are getting the most repins and clicks as well as monthly traffic statistics and reach. It’s free to convert your account to a business account. Simply follow this link and the instructions. Another benefit of the Pinterest business account is it allows you to run ads. Right now Pinterest ads are super cheap compared to most platforms (Facebook, Google, etc.) because it’s still early in the game. Over time ads reach less people and get more expensive so consider using ads while you’re still relatively early. Rich pins are different than regular pins. Rich pins allow your pins to show more information such as the article title and meta information you entered over on your blog website. This benefits you because it increases the chances a user clicks through your pin to the article or web page that it is linking to. To set up rich pins, please see this article I’ve already written with 3 quick steps to follow and you’ll be all good to go. Now that your account is set up and optimized, you can move all your focus to creating pins and promoting those pins. For designing pins, I like to use Canva which is a free website and it has a template already so you can easily begin creating your pin. I like to start with a background image and then overlay text onto it. Make sure your text is large in size and color scheme that fits with the rest of the pin design. You can see the difference for each of the 3 article titles. One is a list, one is a how to, and one is a resource / review article of the best product. There are many other variations of headlines that you could use to catch someone’s attention and make them curious. Once you’re done creating your pin on a photo design website, give the filename keywords that relate to the pin. Think about what phrases people would be searching on Pinterest to come across your pin. For example, if I made a golf pin about swing tips, then I better use Golf Swing Tips in the pin’s file name. This is important because when you upload the pin to Pinterest, the smart feed algorithm will read the image filename to figure out what it is about. It could help boost your chances of getting ranked for those keywords in the search feed. When someone clicks on your pin, they’ll want to read the pin’s description to learn what it’s about and where it will be taking them. Make sure you’re using keywords in your pin’s description but don’t over stuff them where it feels spammy. Set up boards on your profile related to different topics your brand covers rather than pinning a bunch of different pins to one general board. An example for my Ask Nick brand is that I’ve created boards for WordPress, Pinterest, Instagram, Facebook, Email Marketing, and other topics marketers want to find helpful pins related to. When setting up these different Pinterest boards, make sure to use keywords in the board’s description as well to help increase the chances of your boards showing up in the search feed. The final step is to promote your pins! Once they’re live on Pinterest, don’t stop there. Actively promote them on your blog, to your email list, and to other influencers. I would recommend reaching out to other influencers who your pin would relate to and let them know about it. Let them know they inspired you to create the article and think it would be a helpful resource for their audience. Why does this work? Why would other influencers want to share your pins? Truth is, most Pinterest users run out of their own content to post on Pinterest. They usually follow the 80/20 rule where they repin 80% of other peoples pins and only pin their own content 20% of the time. You can also join group boards and share pins to these boards that are typically followed by thousands of people. This will boost your chances of getting new followers and lots of repins on your content. Not to mention, these members of the group board will likely click through to your website and read the article which is your end goal you want to happen the most. A lot of big influencers schedule pins using a tool like Tailwind (affiliate link that helps me earn a commission). They get onto Pinterest and search other profiles of other users for relevant content they think their followers would enjoy seeing in the feed. Then they save these pins to Tailwind and schedule them in bulk along with their own blog content to be posted at a later time. Automation is key on Pinterest. It saves you hours of time so you don’t have to be on Pinterest every single day. Instead your account grows on autopilot while you’re spending time promoting your pins to influencers and other places on the internet. You are now armed with the Pinterest tips and strategies you need to become successful on this platform. We covered how to set up your account profile, boards, and pins as well as how to promote them and schedule them to grow your brand on autopilot. If you’d like to learn more advanced Pinterest strategies, check out my training videos here.